Hey Julianne, I’ve missed you! How are you going? 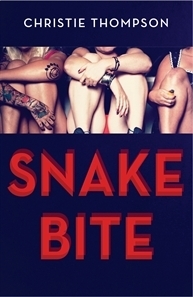 Yes, Eimear’s book looks terrific – seems to be a few in this vein coming out at the moment. Anne Enright is one of my fave writers so anything she recommends, I’m onto. Thanks for the link. Can you let me know roughly when this will be available on your website? When it comes up I’ll post it to FB. Your novel is the one I’m going to read, and I’ll make sure I post a comment. if you want to link to it on FB. I would be chuffed to know what you thought of just_a_girl. btw I tried to find my review of your book online the other day and couldn’t. Do you have a link to it? 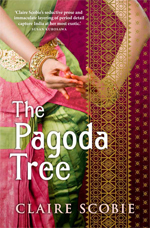 I picked up ‘The Pagoda Tree’ at a friend’s place and began reading while she was dressing to go out. I love the enticing pink and green cover. I decided it’s a “can’t put it down” kind of book from the the bit I read. But I couldn’t very well slip it into my bag! The prose is very vivid and filmic. It’s on my Christmas reading list for sure. I’m really interested to see how Claire Scobie brings to life a very different time and culture and resolves the story of Maya’s destiny. It’ll be one to take travelling. ‘The Colour of Kerosine’ – I love the title. The cover’s fab – and there’s a quote from Ron Rash! I’m always interested in new short story collections and this one, set in dry, harsh places, is certainly on my list. I’m intriqued to see this collection has illustrations – mine has photos. What do people think about that idea? Does it distract from the prose or add interest, another layer? Such a great idea! I’m always looking for lists of new aussie stuff to read- and I find lists on Goodreads are pretty lacking from the Aus perspective (unless I’m not looking hard enough). Thanks, Carly. Yes, I’ve come across so many new writers this way – I realised a fair few were slipping through my cracks – that sounds revolting, but you know what I mean!